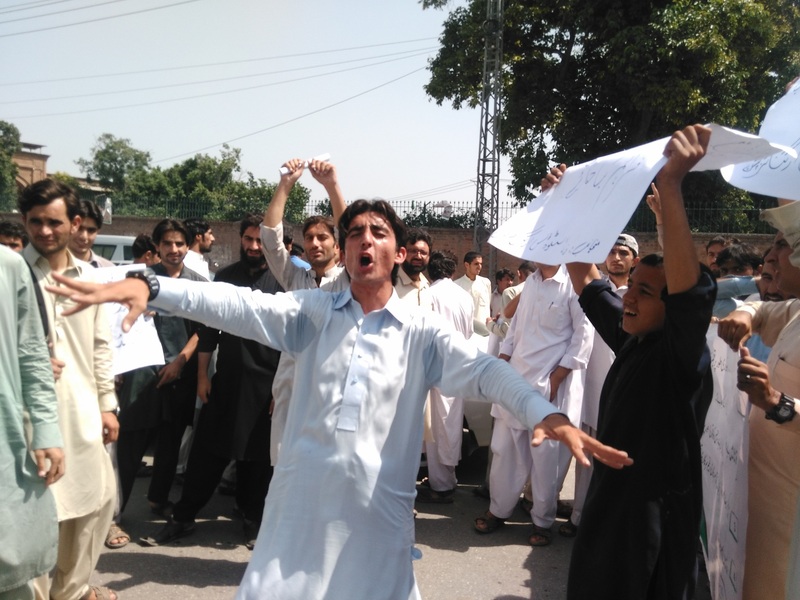 PESHAWAR: FATA Students Organization (FSO) held a convention here on Sunday at Nishtar Hall, Peshawar, as the Pashtun youth ended Islamabad sit-in after receiving a written guarantee from the federal government about their core demands. FSO President Shaukat Aziz explained that they have resumed the struggle of the Federally Administered Tribal Areas (FATA) inhabitants against the Frontier Crimes Regulation (FCR). He said that in the modern history after 9/11, the Pashtun youth is leading the caravan against the old British ordinance. “The blood of Naqeebullah Mehsud will not go in vain,” Shaukat Aziz stated adding that the awareness among Pashtuns is remarkable in present circumstances, he added. Aziz further said that the residents of FATA have reasonable demands which are based on their constitutional rights. “The culprit of extrajudicial killing must be brought to justice,” Aziz demanded. FSO organizers announced their commitment to keeping Naqeebullah’s case alive until getting the desired and stated demands and FATA reforms while appreciating those who had worked for the interests of FATA in different categories. FSO General Sectary Naila Altaf said, “The word tribal person doesn’t exist in the civilized world anymore.” The people living in the border area are as patriotic citizens of Pakistan as of those from other parts of the country, she added. The students of different colleges from all seven tribal agencies including Frontier Regions (FRs) attended the convention including dozens of female students. Fauzia Sartaj from Kurram Agency said that if there were educational institutions in FATA, she would not have to come to Peshawar for higher education. “Fata residents should be treated as equal countrymen of Pakistan” she insisted. Beside many other demands, our people need modern education and health facilities in their areas, Fauzia requested. Political activist Jangreez Khan criticized the role of the military establishment near the long Afghan border. “The history has not witnessed such ruthlessness and brutalities as the people of FATA faced after 9/11, Khan lamented adding that now it is our own war for self-respect. Awami National Party (ANP) Khyber Agency president told on the occasion that unified Pashtuns would bring reforms in the region. Fata merger is the dream and demand of every Pashtun, he said. Aziz criticized state impotency for not conducting local government elections in the region as it was promised. “Pashtuns are now aware to struggle for their rights” he concluded.